Dodger legend and coach Steve Yeager will be signing autographs at the Sports Authentics store at the Puente Hills Mall on Saturday, July 8th from 10:00 AM to 11:00 AM. Go here for more information. 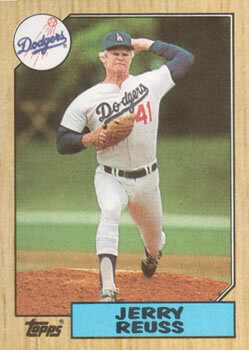 Former Dodger pitcher Jerry Reuss will be signing autographs this coming Saturday, July 8th at the OC Dugout in Anaheim from 1:00 PM to 2:30 PM. Go here for more information.